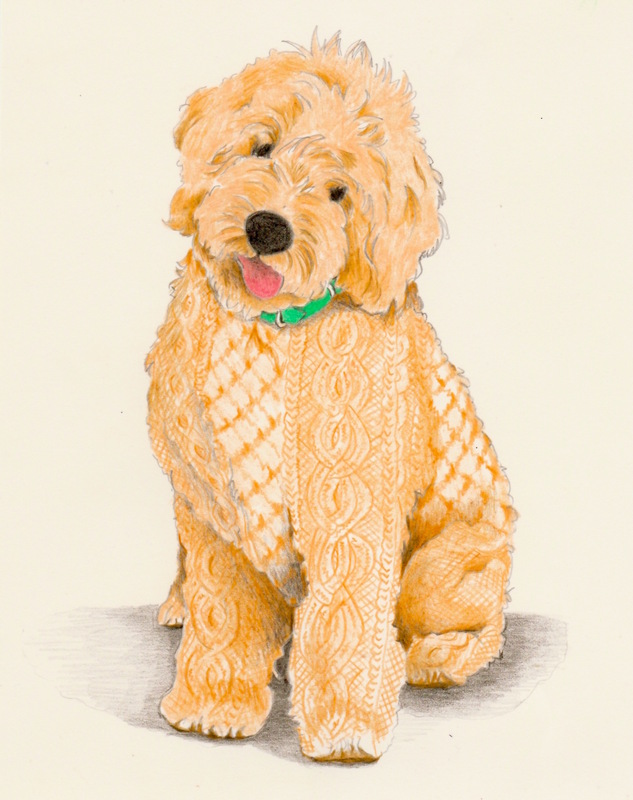 Aran is my most traditional Irish fabadoodle to date. The history of the Aran Sweater goes back a long way in our culture with great meaning given to the stitches that go into creating the individual Clan jumpers. Aran’s coat reflects the Honeycomb stitch for Luck and Prosperity and the Cable for Friendship and Love. She is dedicated to my special Book Club Ladies who keep me centred on all things literary.